The word “robot” was coined almost a hundred years ago by Czech writer Karel Čapek, to refer to the artificial life forms in his play “Rossum’s Universal Robots”. Ever since humanoid shaped robots have dominated concepts of what a robot should look like. Think of Star War’s C3PO, The Terminator, The Iron Giant, or even Marvin the Paranoid Android from “Hitchhikers guide to the Galaxy”. In the real world there are also machines like Boston Dynamic’s incredibly agile “Atlas”. Or Sophia, the first robot to receive citizenship. More often than not though our shape isn’t the best one for robots faced with challenging assignments in extreme environments. In a just published paper [Nature Machine Intelligence] our scientists have offered a bold glimpse into what the robots of the future could look like – and it’s not “Robby the Robot”. Our Active Integrated Matter Future Science Platform (AIM FSP) says that within 20 years robots could look unpredictably different. Scientific breakthroughs in areas like materials discovery, advanced manufacturing, 3D printing, and artificial intelligence will allow robots to be designed from the molecular level up to perform their specific mission. Resulting in unusual and unexpected shapes, limbs and behaviours. An artist’s impression of a robot for use in the Amazon. 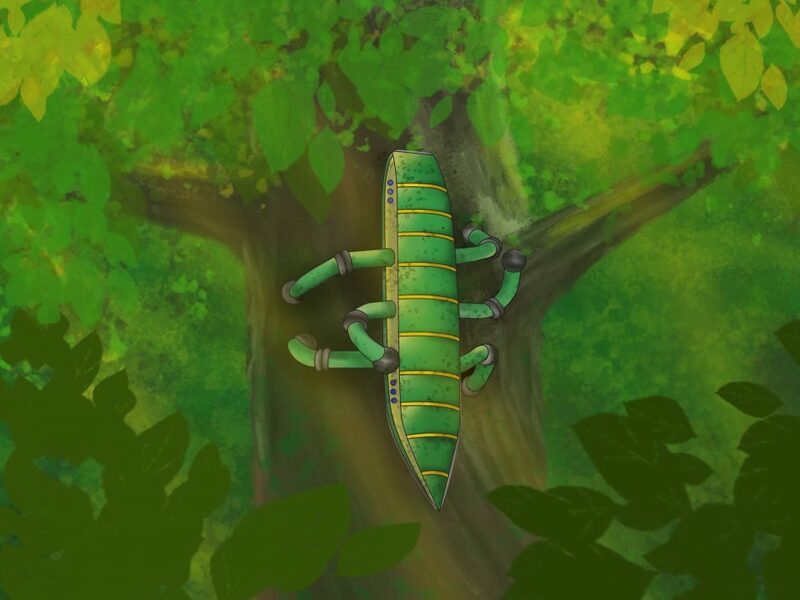 Based on tree crawling lizards and gecko, it would have articulated legs for more flexibility and climbing. Central to this all is a concept known as Multi-Level Evolution (MLE). It argues that robots should be taking their engineering cues from the one tried and true design philosophy that’s survived millennia on Earth: evolution. Evolution has seen animals undergo incredibly diverse adaptation to survive challenging environments. It creates effective solutions that are often totally different to any a human engineer would come up with. Kangaroos, for instance, probably wouldn’t have made it off the drawing board but have survived and thrived for eons in Australia. A robot’s mission, as well as details about the relevant terrain and environment, would be entered into a computer. It would then run algorithms based on evolution to automatically design robots. The computer would do this by exploring a diverse range of materials, components, sensors and behaviours. Advanced, computer based modelling could rapidly test prototypes in simulated, “real world” scenarios to decide which works best. Once that’s done 3D printing and other technologies would be used to create and physically test prototype robots. The end result? Small, simple, highly specialised robots that can automatically adapt to their environment and are tough enough to survive their mission. An artist’s impression of an ocean, coastal or river based amphibious robot. 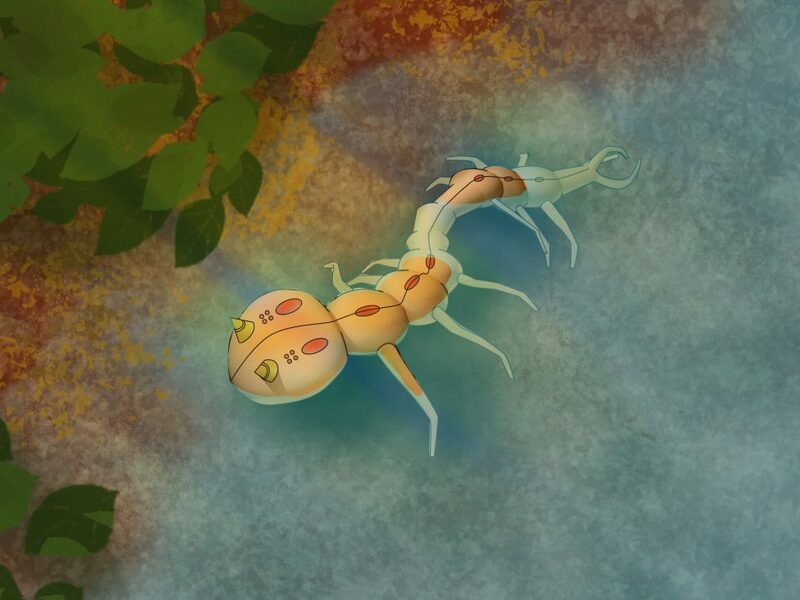 It would travel in water like an eel, but have legs in order to crawl and climb. Say, in the future, you need to design robots for environmental monitoring in extreme environments. They’d all need to move across difficult landscapes while gathering data. Eventually, to avoid polluting the environment, they’d have to return to base or degrade away to nothing. How could you do this? MLE would come up with remarkably different results, depending on the terrain, climate and other factors. To cope with the Sahara Desert a robot would need materials designed to survive punishing heat, sand and dust. Given the amount of sun the Sahara receives the robot could be solar powered, and slide across sand dunes. The harsh UV light could also be used as the trigger to eventually wear the robot away. In the Amazon a robot would have entirely different challenges to face. Thick, low lying vegetation and fallen trees would hamper its movement so it would need to be flexible enough to climb over or go round obstacles. It could perhaps be powered by biomass such as the leaves covering the jungle floor, and degrade with humidity. An artist’s impression of an Antarctic based robot. 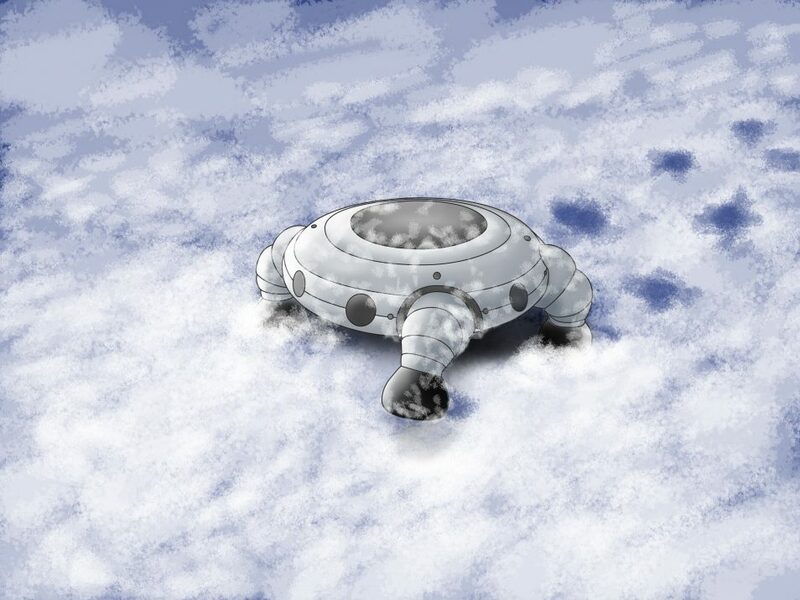 Turtle like, it would be strong and robust for extreme conditions. It could also suit desert applications. So what can we expect these new radio projects to discover? We have no idea, but history tells us that they are almost certain to deliver some major surprises. Making these new discoveries may not be so simple. Gone are the days when astronomers could just notice something odd as they browse their tables and graphs. Nowadays, astronomers are more likely to be distilling their answers from carefully-posed queries to databases containing petabytes of data. Human brains are just not up to the job of making unexpected discoveries in these circumstances, and instead we will need to develop “learning machines” to help us discover the unexpected. With the right tools and careful insight, who knows what we might find. 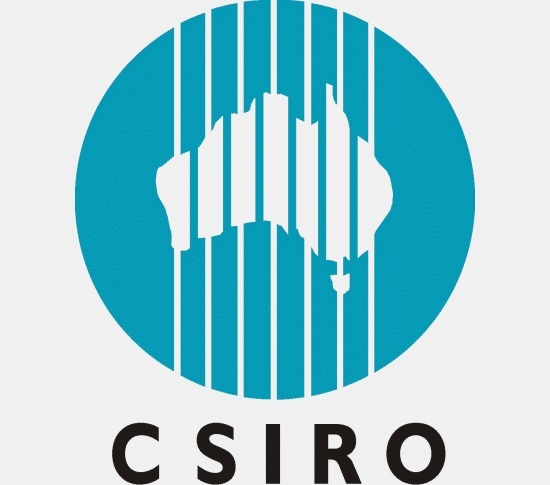 CSIRO, the Commonwealth Scientific and Industrial Research Organisation, is Australia’s national science agency and one of the largest and most diverse research agencies in the world.